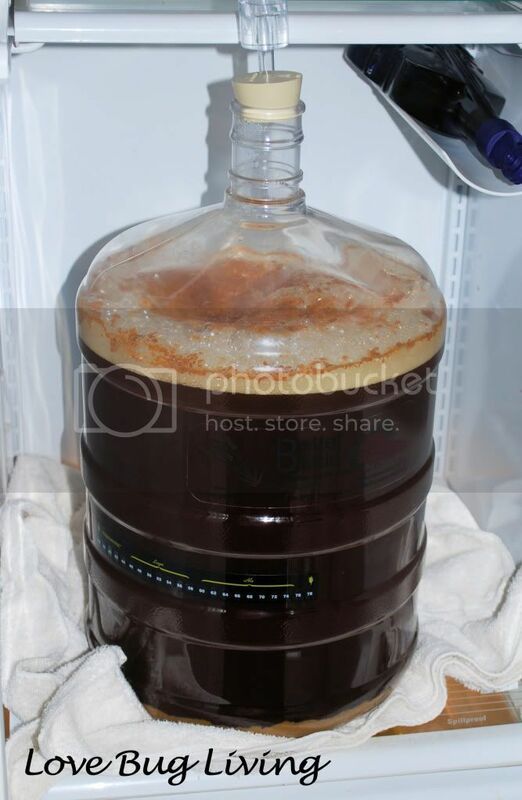 For my hubby's birthday this past December, I signed him up for a beer making class. 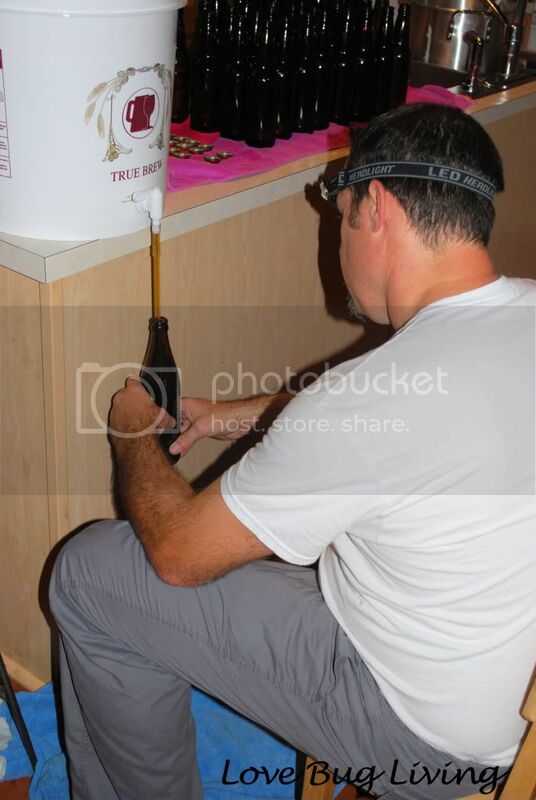 It was a two part class where he learned all the basics of making your own craft beer at home. His Dad signed up for the class too, so it was a fun thing for them to do together. He has been interested in this for quite a while. 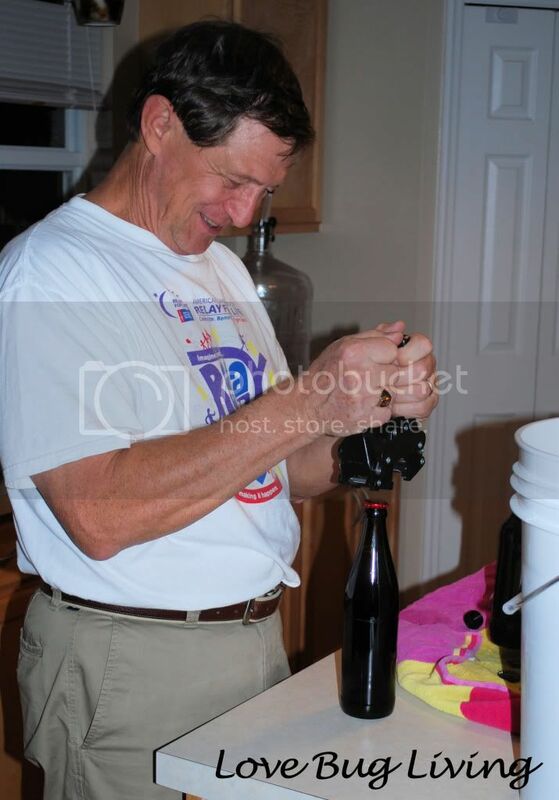 His last experiment in beer making was many years ago with one of those beer making kits you can buy at any big box store. We will just say that it did not go as planned. The beer ended up a bit chunky. Perfect if you like your meal and beer all in one glass. That batch ended up down the drain. After his class, he was determined to get it right. His parents bought him the professional starter's kit from the place he took the class. He and his Dad decided to buy the other supplies together and try it out at home. They decided to start with a lager. This is in no way supposed to be a tutorial on how to make beer. Just a fun guide on the basic steps of beer making at home. The first night they got together I was at the grocery store for half of it. So they had three helpful little girls as assistants. This was when they did most of the brewing process. They boiled the water, added the malt extract and hops. This boils for 60 minutes, so plenty of time to push the girls on their swings while taking turns stirring. 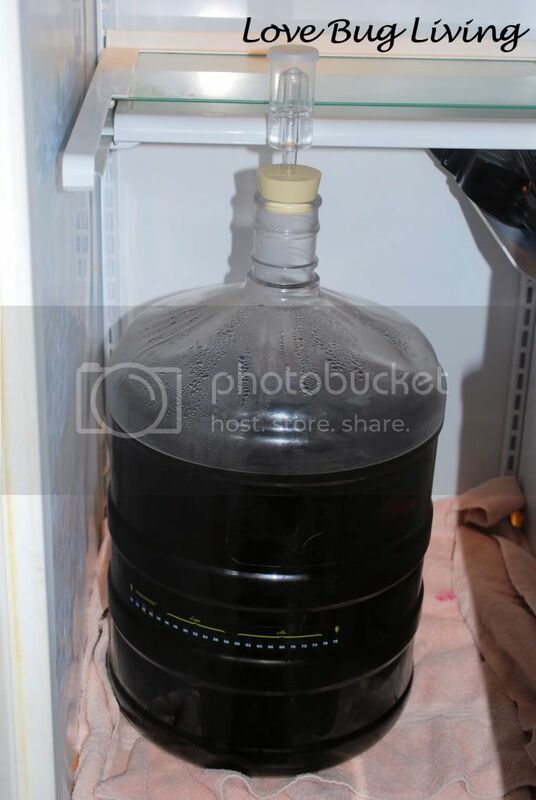 After cooling it down, they put it in the fermenter tank, added yeast and put it in the fridge. Luckily we have a second fridge in the garage that we use for extra drinks and freezer space. It's is basically our beer fridge now. Now we wait! Four weeks later they met for a short time just to syphon out the beer mixture, cleaned out the sediment, and then put it back in the fridge for another three weeks. The next time they met was to add sugar to the beer. After that was mixed in, they bottled the beer in the many bottles that they had been collecting. They even had a cool bottle capper to make the beer look official. Can't drink it yet though. Now we had to store the bottles in a cool, dark place for another two weeks. Finally we could place the bottles back in the fridge. Eight hours later we were able to have our first taste! After a few nights of work and nine weeks of waiting, I'm pleased to say that this batch of beer was a success! He is already making plans on what kind of beer he wants to make next. Maybe something infused with some fruit for the summer. 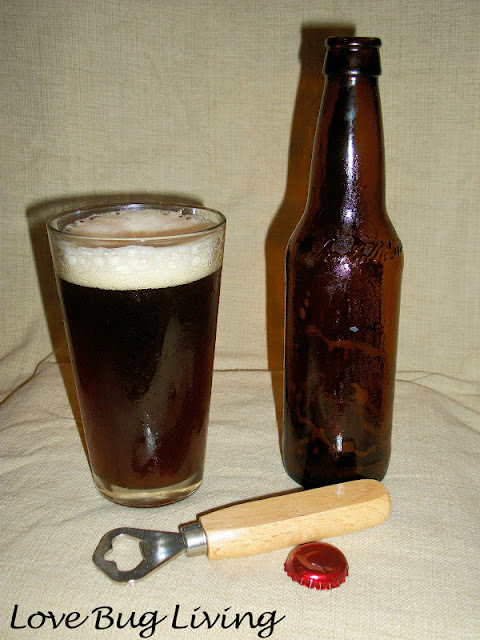 If you are in the Central Florida area and interested in a beer making class, check out Magnolia Square Market. It's owned by the same people as Willow Tree Cafe in Sanford.